Future augurs well for Indian wrestling! The stellar performance of the Indian wrestlers in the recently-concluded 26th Senior Asian Wrestling Championships exudes hopes that the sport is in good health. The Indian contingent suffered a gargantuan blow when two of its best medal hopes and Olympics medallists – Sushil Kumar and Yogeshwar Dutt – chose to give the championship a miss. Sushil, who became the only Indian to win back-to-back individual Olympic medals, bagging a silver medal at the 2012 London Olympics in the 66-kg category, could not fully recover from a shoulder injury. He hasn’t been seen in any competitive action after his silver medal-winning effort at the London Olympics. Yogeshwar Dutt, who picked up a bronze medal in the 60-kg category, was undergoing rehab after he tore a ligament in January. The lanky grappler had suffered a knee injury after the London Olympics and was out of competitive action for two months. Give this scenario, the odds were clearly stacked against the Indians. A lot was at stake when one has to take the mat in front of the home crowd. But as they say, adversity brings out the best in a player and that’s precisely what happened with the Indian grapplers. The country’s wrestlers came out firing, determined to prove a point after being depleted with the injury-induced pullout of Sushil and Yogeshwar. Talented Amit Kumar gave the country its first reason to rejoice when he snaffled a gold medal in the 55-kg freestyle category. The 20-year-old is touted as a bright prospect for the future, and the gold-winning effort should instil more self-belief in him going forward. The 2012 Asian championship bronze medallist made a sedate exit from the 2012 London Olympics, but holds immense promise of making a podium finish in the 2016 Rio Olympics. Another wrestler – starting with the first name Amit – Amit Kumar Dhankar made everyone sit up and take notice of him when he scooped the gold in the 66-kg freestyle category. Amit, who was only a last-minute replacement for Sushil Kumar, more than atoned for the star’s absence by winning the yellow metal. Another last minute replacement – Bajrang – for Yogeshwar Dutt made the most of the opportunity to pick up a bronze in the 60-kg freestyle category. Also spare a thought for Hitender, who won a bronze in the 120-kg freestyle category, as higher weight categories haven’t been India’s forte in recent times. The country’s women wrestlers also turned in a power-packed performance. Navjot Kaur was the star, winning a silver in the 67-kg category. Geetika Jhakar and Jyoti J also made their presence felt by winning a bronze apiece in the 63-kg and 72-kg respectively. Vinesh and Babita underlined their immense potential, garnering a bronze medal in the 51-kg and 55-kg category respectively. Amid the euphoria, wrestling fans had to ensure a disappointment when the country’s first Olympian women wrestler Geeta Phogat made a second round exit in the 59-kg category. However, the performance of the Indian greco-roman wrestlers left a lot to be desired. Asian Games bronze medallist Ravinder Singh failed to make a podium finish in the in the 60-kg category. 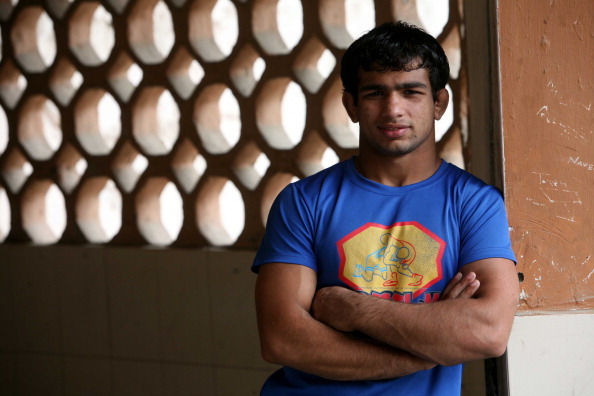 Asian Games bronze medallist Sunil Rana also disappointed in the 66-kg category. But by and large, Indian wrestlers have been able to paint a bright picture for the future with their exploits in the Asian championships.